I didn't make it out birding at all yesterday which was a massive shame. 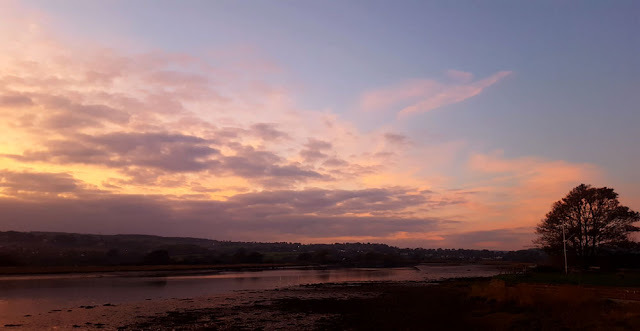 It was the first still day for a while which saw a significant pulse of bird migration along the south coast of the UK. I couldn't even cash in on the five Great White Egrets that flew west from Abbotsbury Swannery, and were later seen at Dawlish Warren. They left Abbotsbury at 09:10, continued west past West Bexington at 09:22, Charmouth at 09:47 and finally Dawlish Warren at 10:30. I reckon they would have gone by here pretty much bang on 10am - right when I was conducting an appraisal at work! 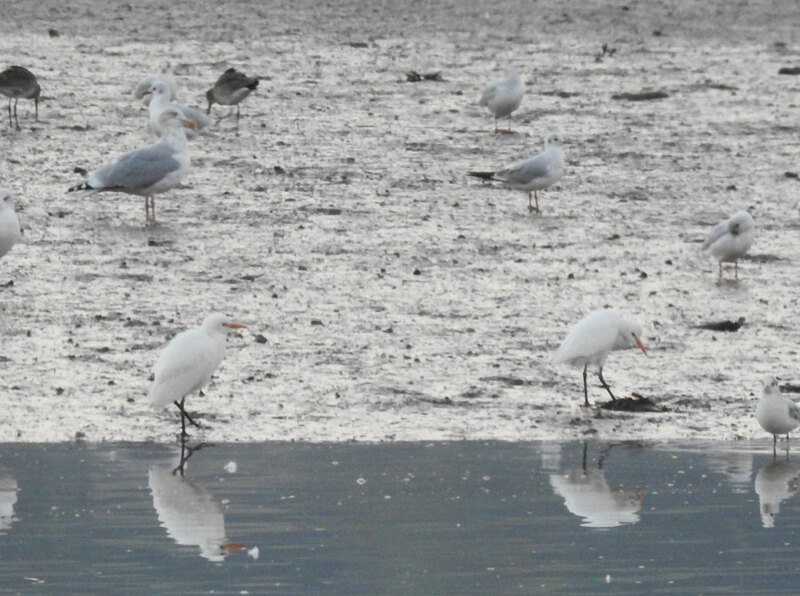 Oh well, I may have missed five big yellow-billed egrets yesterday, but this evening during a ten minute check of the Estuary, I saw five small yellow-billed egrets! I don't know how many Cattle Egrets were actually present, as egrets were bombing about all over the place in the half-light, roosting in two different places, but five was my highest definite count. 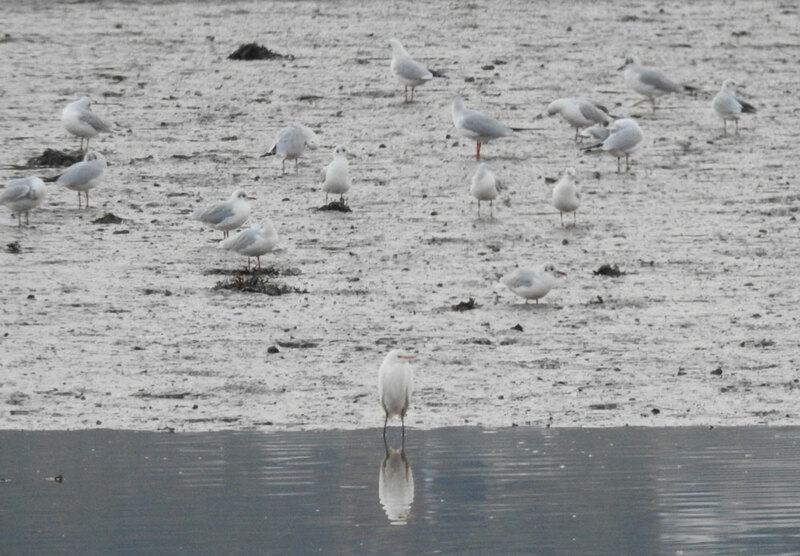 As I said in a tweet a few weeks ago, to me it now feels like Cattle Egrets are here to stay, unlike their last influx four or more years ago. Apparently there are up to 95 wintering just in Somerset! It was a pretty decent ten minutes along the Estuary actually, with masses and masses of pre-roosting gulls on show. I wish I'd had more time to look through them, as a first-winter Yellow-legged Gull stood out in one of the first gatherings I looked at. Another highlight came in the form of a flock of four Goosanders that flew downriver at 18:10.